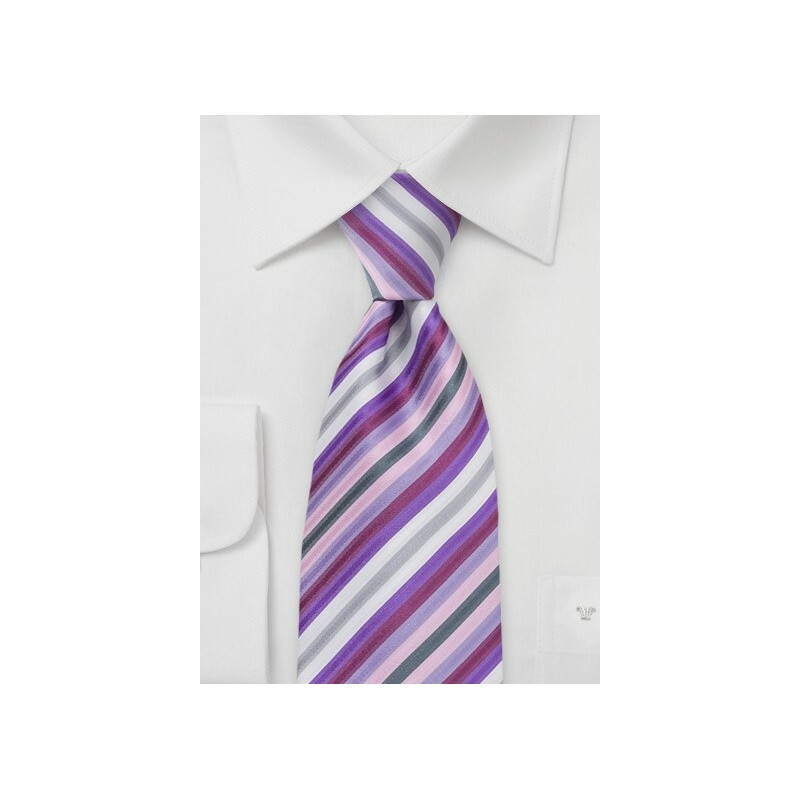 A trendy and modern striped mens tie in colors lavender, pink, purple, gray and white. The bright color of this tie is perfect for the spring season. It looks best in combination with light gray suits and shirts in either light rose or classic white. This tie is part of Puccini's newest Spring collection. 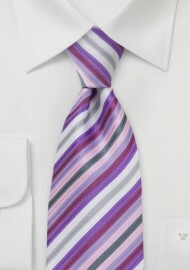 Because this tie has quickly become a favorite on our site, we at Ties-Necktie.com now offer it in all popular sizes. Please note that this is a tie made especially for taller men. It is made in longer length of 62 inches.